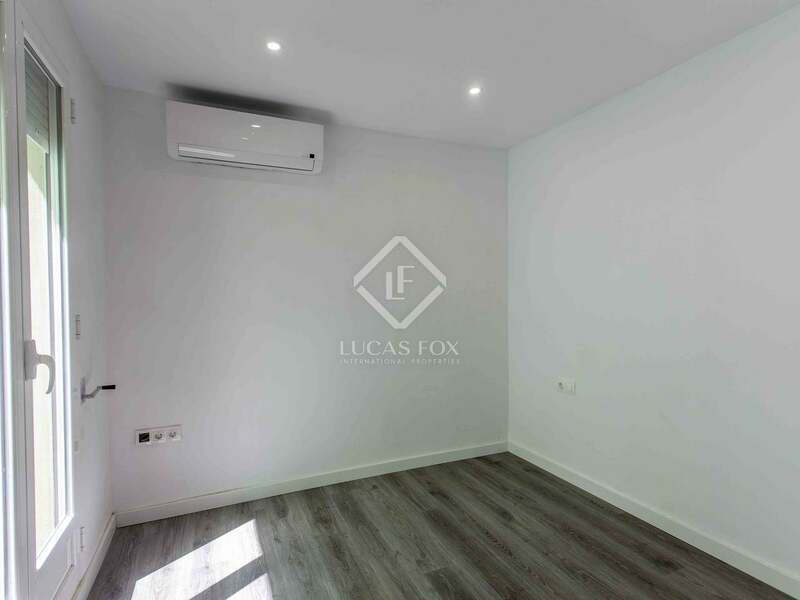 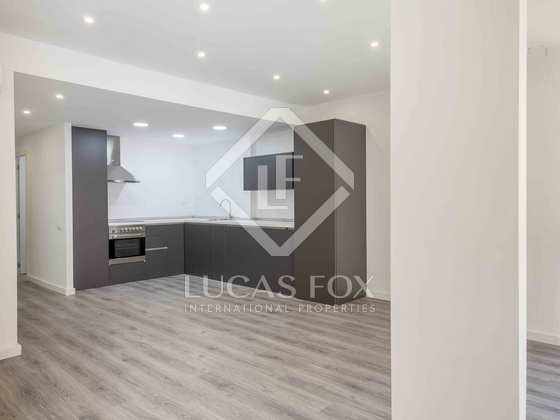 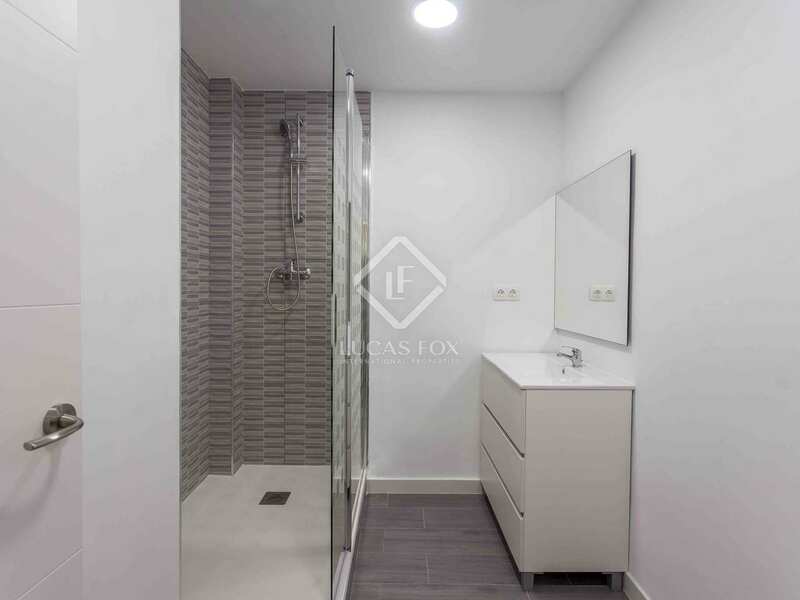 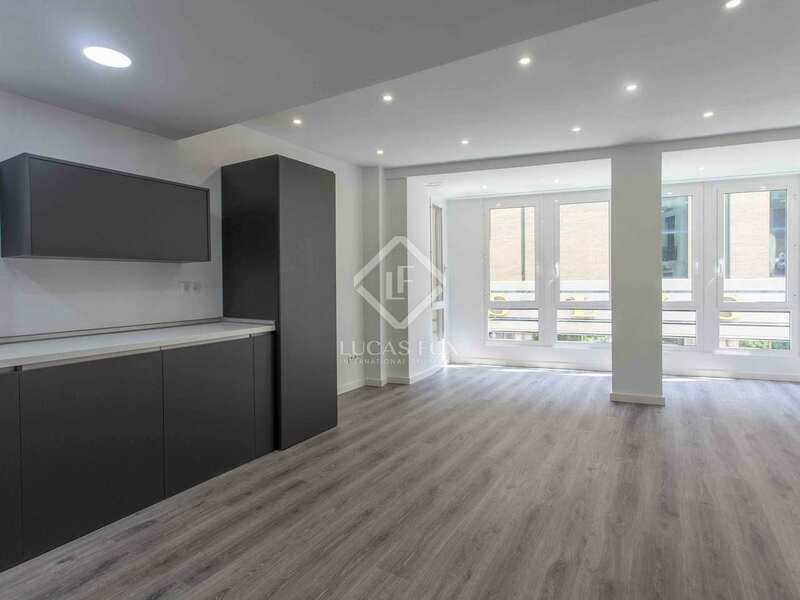 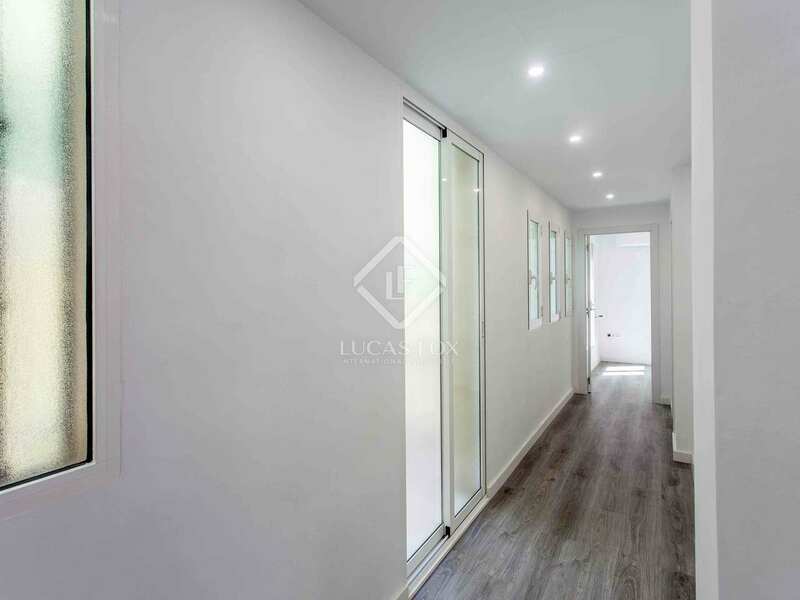 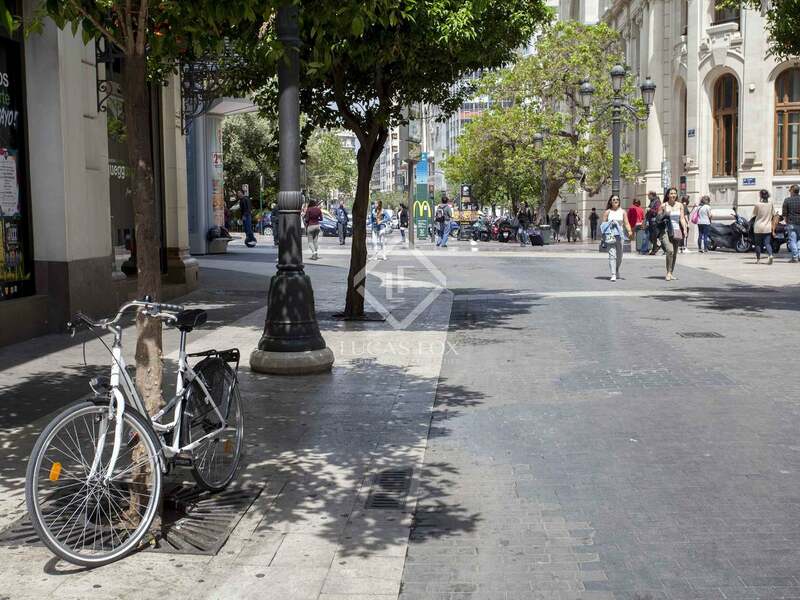 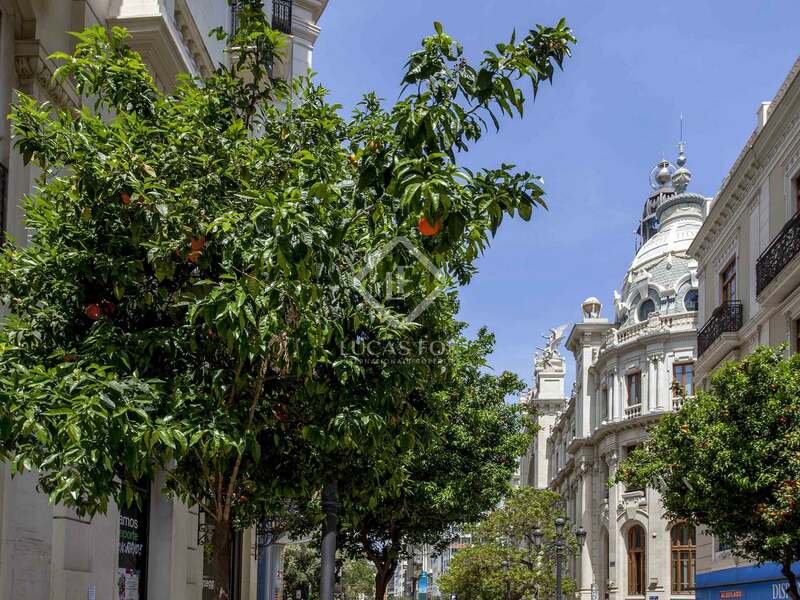 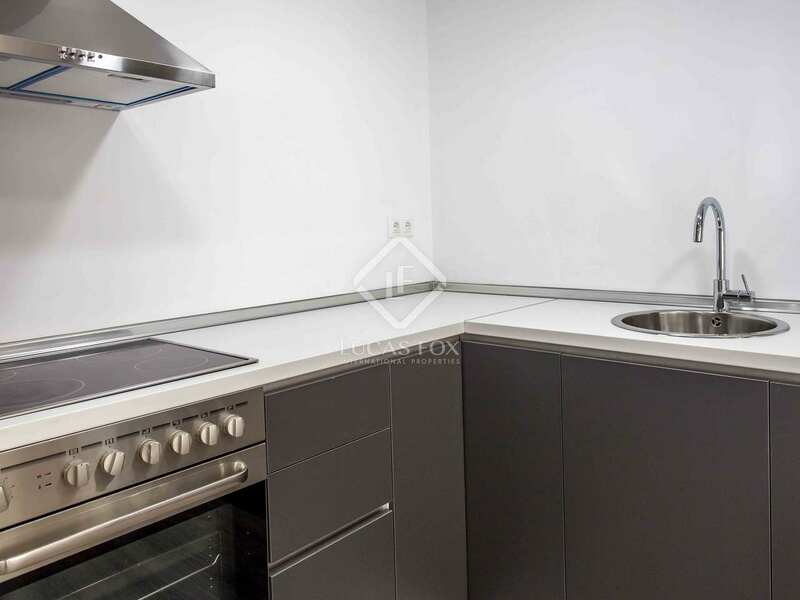 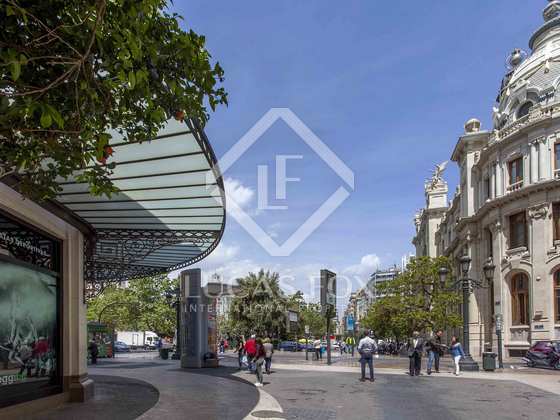 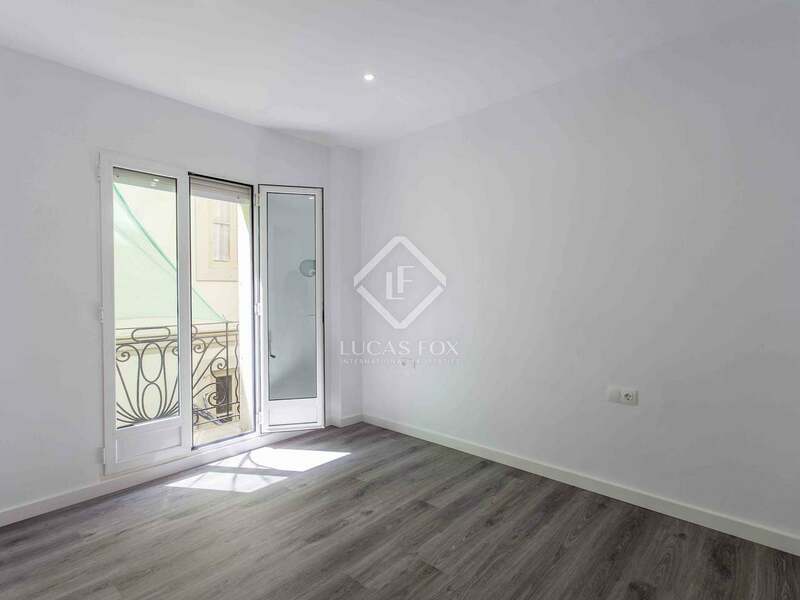 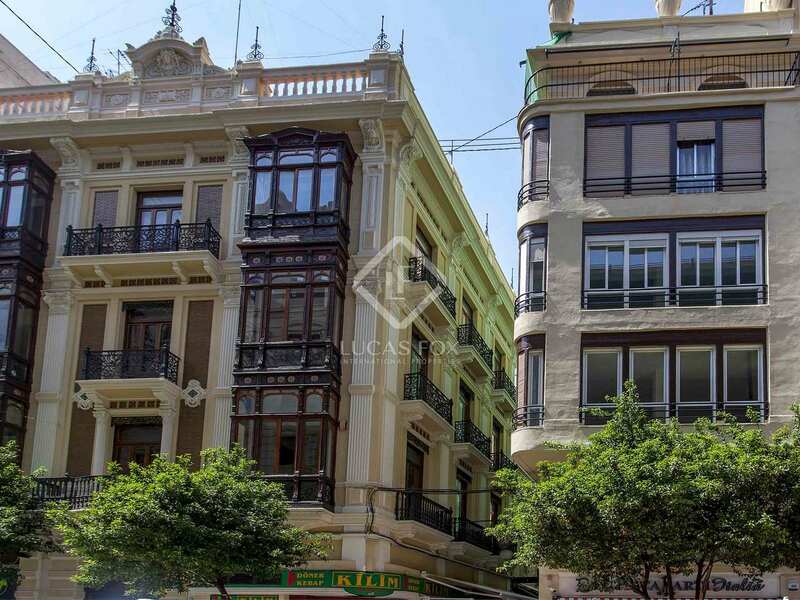 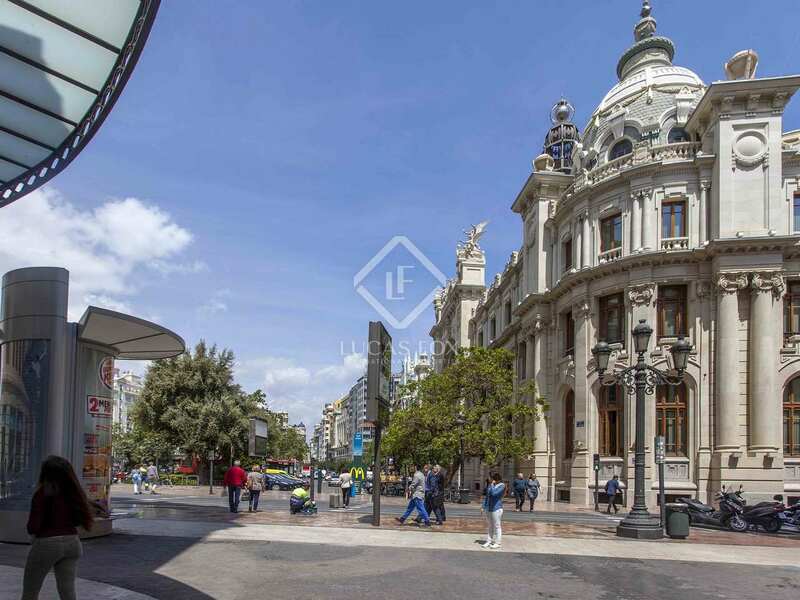 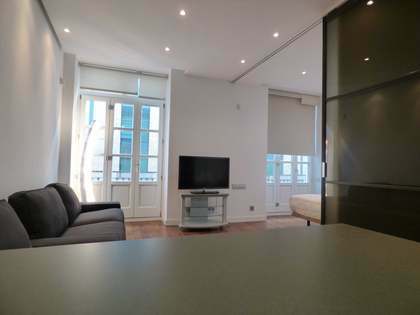 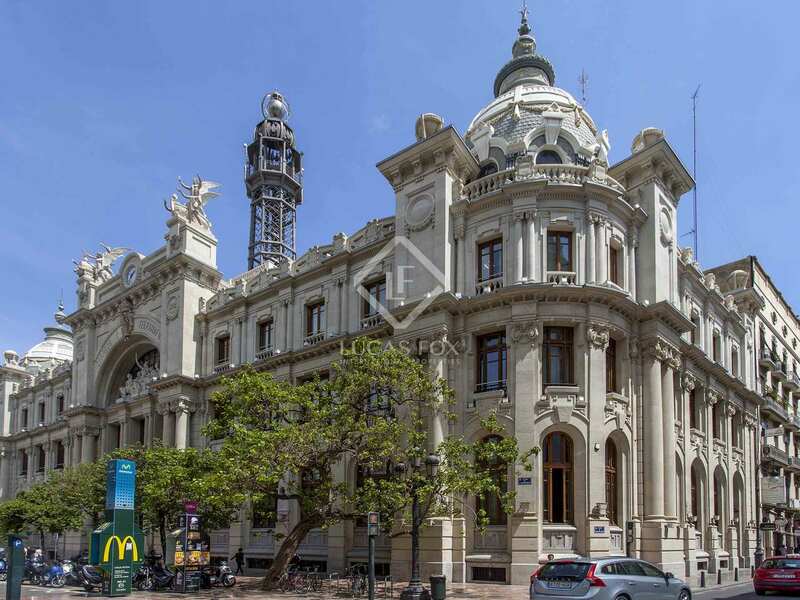 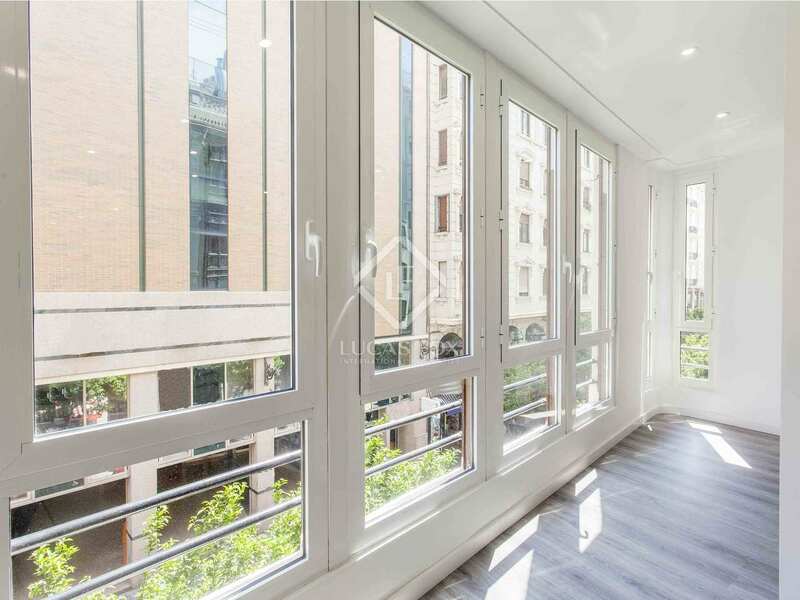 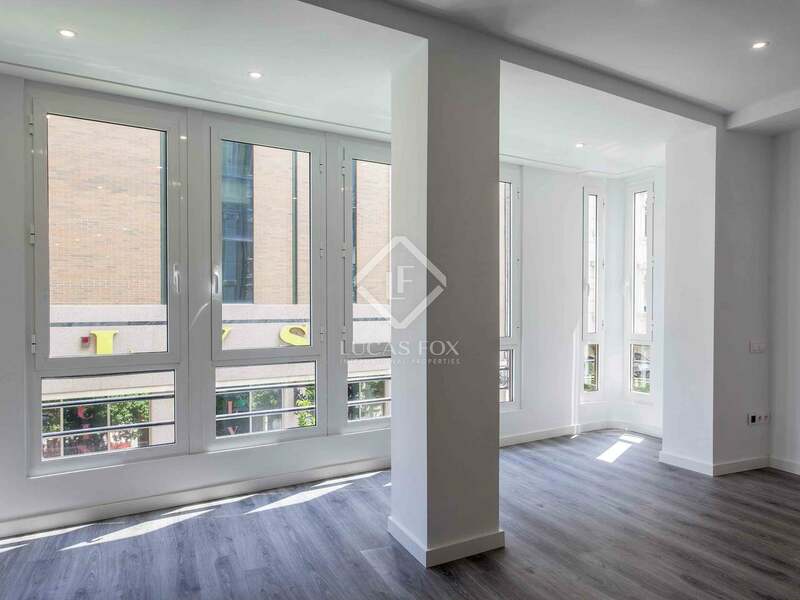 Very bright, exterior-facing and completely renovated apartment of 104 m² with 2 bedrooms and 2 complete bathrooms in a pedestrian area with parking 50 metres away. 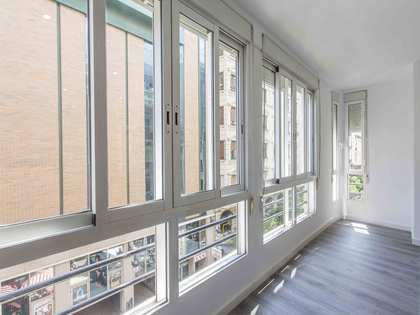 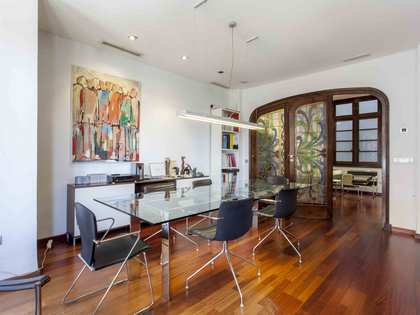 This beautiful brand new apartment has a built area of 104 m² and is located on the second floor of a 5-storey building. 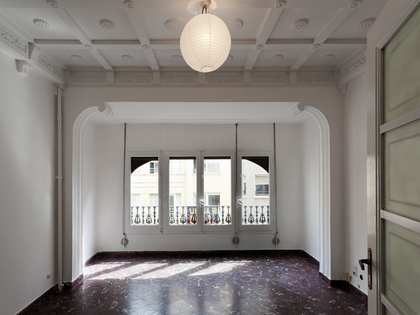 The living room is very spacious and bright as it has a large glazed veranda across the front facade with nice views of the pedestrian area. 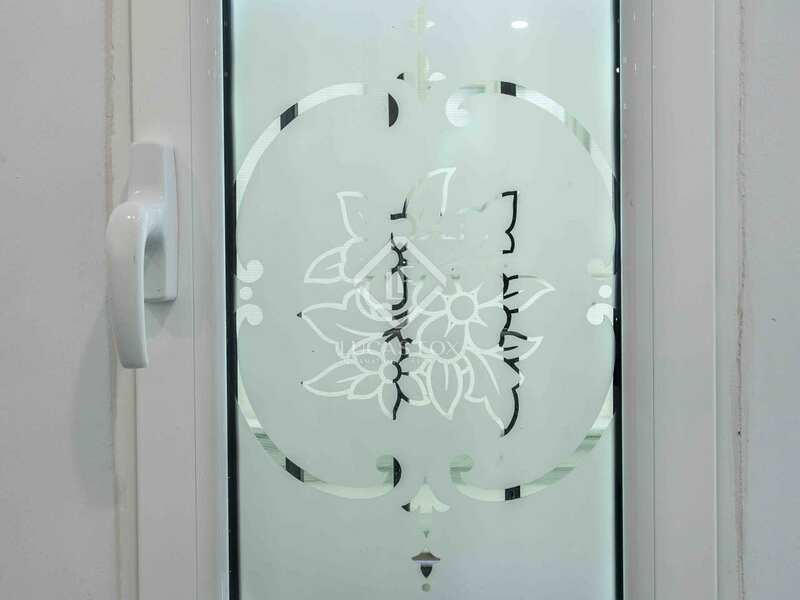 The kitchen is open to the living room, and is equipped with refrigerator, oven, ceramic hob and hood. 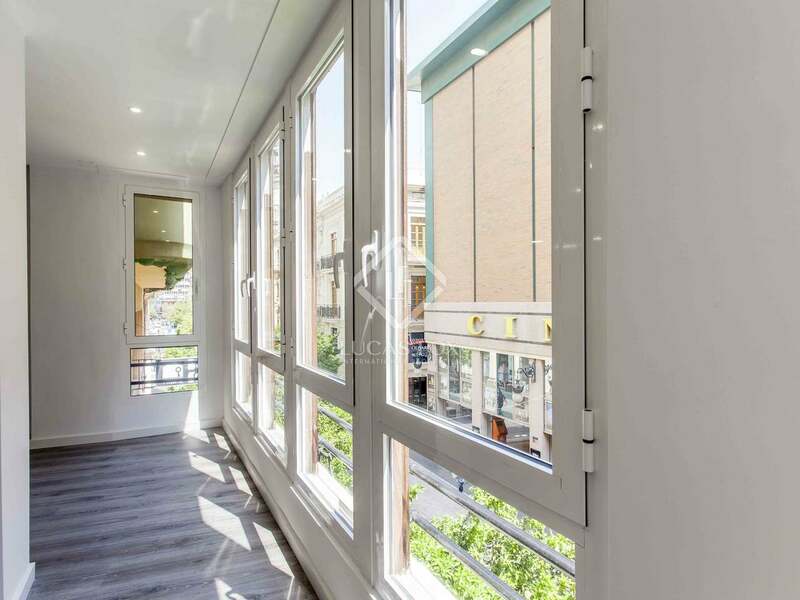 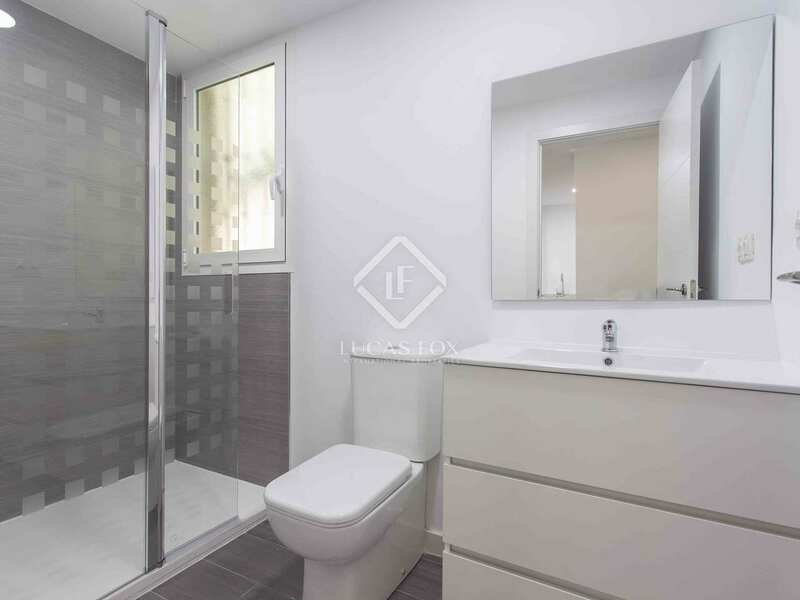 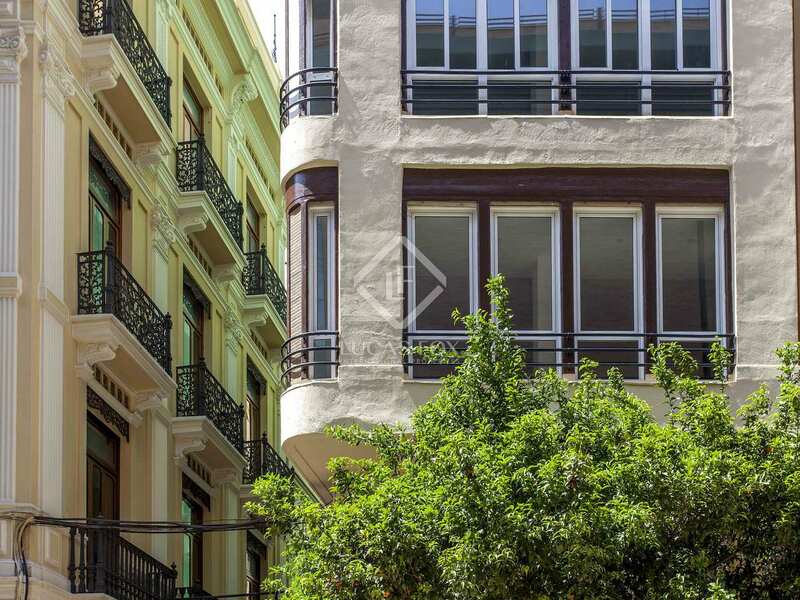 This apartment is completely exterior facing with 2 bedrooms with access to the balcony. 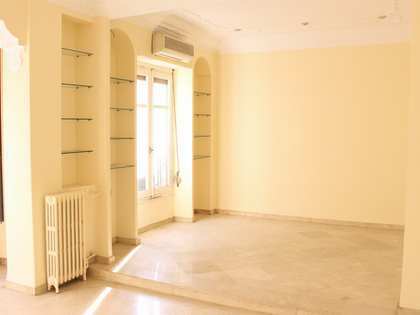 In addition, it is equipped with air conditioning.